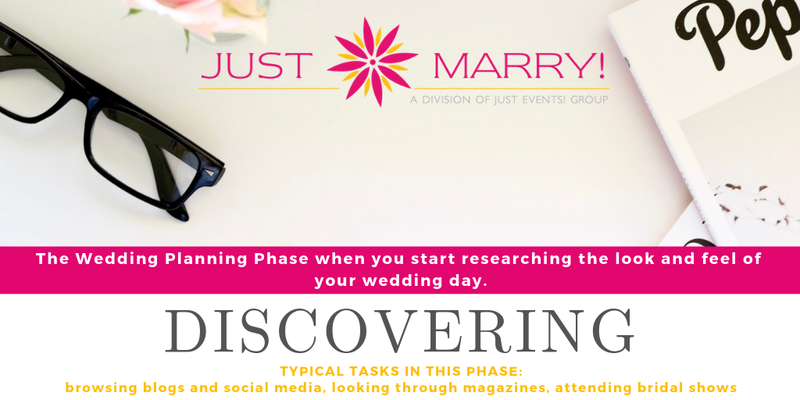 Finding Inspiration for Spring Wedding Themes and Colors | Discovering - Orlando Wedding Planners | Just Marry! April 10, 2019 by Just Marry! 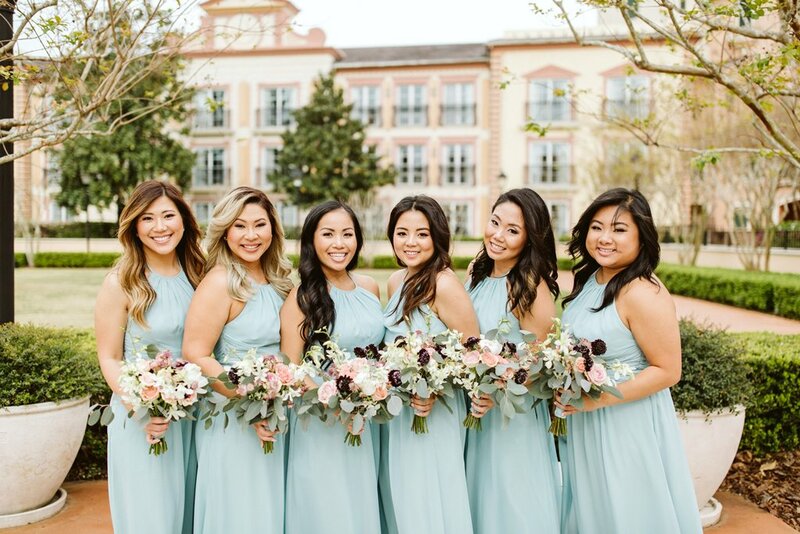 Spring is in the air, Nearly-weds, and that means there are plenty of you seeking inspiration for spring wedding themes and colors. I can’t think of a more fun topic to tackle! 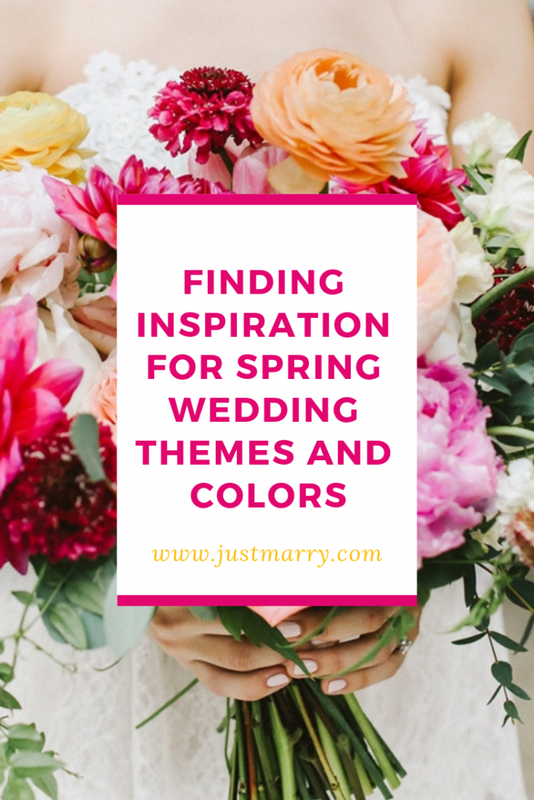 Today I’m going to share my best ideas on where to find inspiration for your spring wedding theme. Wedding themes and colors are the most iconic ways to incorporate the season into your event. Spring colors, in particular, are so cheerful and really add to any space. Follow along to find out where to find inspiration for your upcoming spring wedding or shower! One of my favorite places to find inspiration is at the local stores right near my house. Step into a craft store like Michael’s or a Jo-Ann Fabric to see all of the new spring décor and fabric patterns. 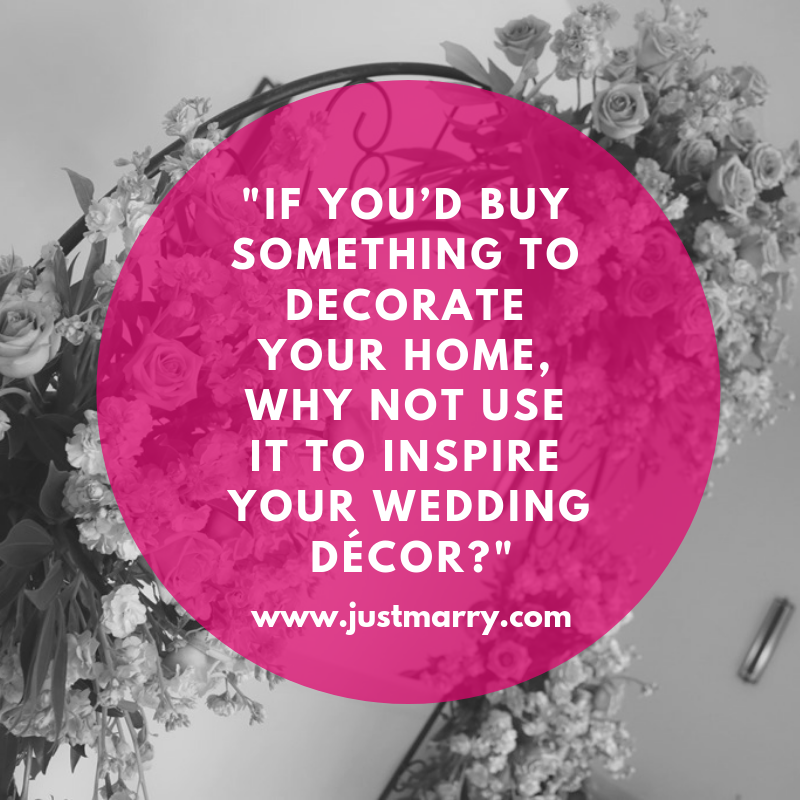 If you’d buy it to decorate your home, why not use it to inspire your wedding décor? You should also take a walk around your local clothing stores to get inspired. The boutique, Lilly Pulitzer, is a great option to view some wonderful spring wedding colors you might like. Another fantastic option is browsing through the seasonal section of your nearby Target. They have some of the newest and cutest spring décor that will keep you on top of the latest trends! The second resource I recommend for finding inspiration for spring wedding themes and colors is Pinterest. Go into your Pinterest account (I know you have one!) and look up spring weddings and color palettes. In fact, you can check out our related board here! You’ll find thousands of pins of spring wedding ideas that you might not have thought of. Between the spring looks for table décor and centerpieces, floral, or dresses for flower girls and bridesmaids, you will most certainly be able to find the perfect ideas for your spring wedding theme! Finally, one of the best places to get inspiration for spring wedding themes and colors is to visit your local florist or garden. It’s so inspiring to walk through the many blooms in season and see the colors of floral together! Seeing different shades blooming or placed near each other can give you an idea of what tones look best together. Sometimes the best color matches are the ones you wouldn’t typically think would go together, but once they’re paired they’re just stunning! If you’re like us and can’t get enough inspiration about wedding themes and colors, don’t miss our handy download featuring five more ways you can infuse a gorgeous spring color palette into your wedding design! Whether you’re seeking advice on choosing your wedding themes and colors or you’d like to speak with one of our planners, we’re here to help! Simply fill out the form below and we’ll get back to you right away. 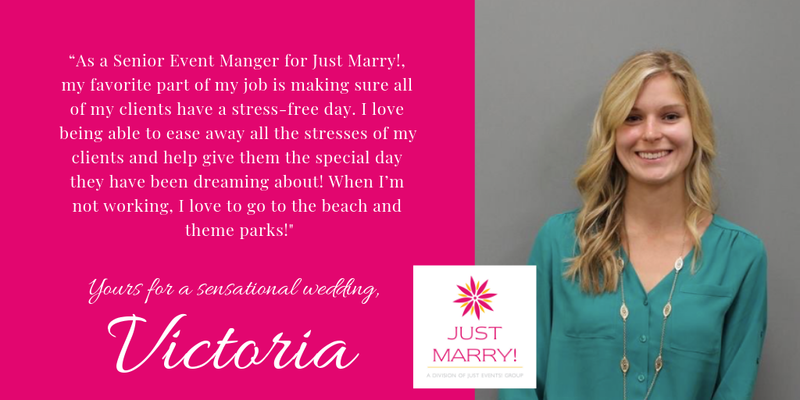 Whatever your planning needs may be, we’d love to welcome you into the Just Marry! family!